Green Diamond Resource Company to clearcut log near the town of Smith River. 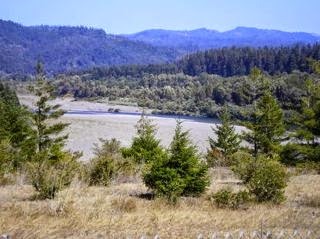 This THP is a few miles NE of the town of Smith River, CA and Highway 101 at an elevation of 200 to 1,620 feet. Green Diamond Resource Company is planning a mostly clearcut tractor and cable logging operation on steep and unstable slopes in Douglas fir and redwood forests. The THP area flows into the Smith River which contains coho, chinook salmon, steelhead and coastal cutthroat trout populations. 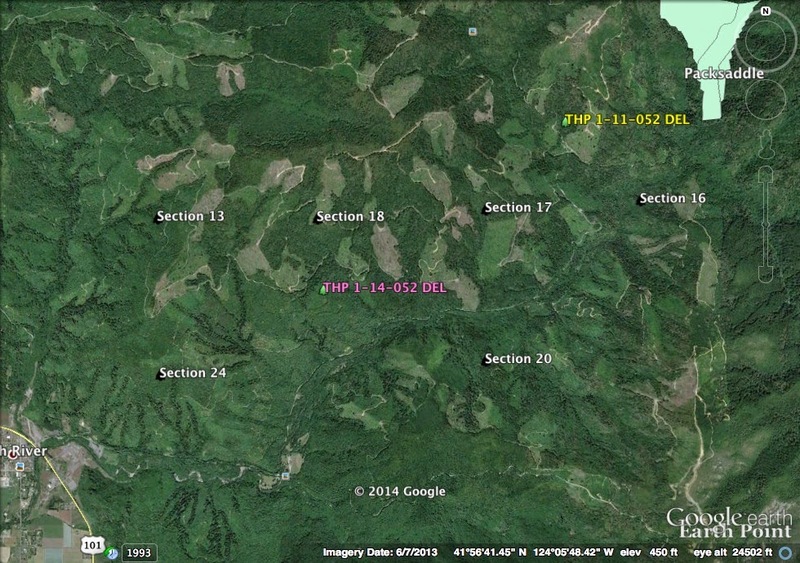 There is shallow rapid landslide terrain in unit B, shallow rapid and deep seated landslide terrain in unit A, and headwall swales within units A,B and D. Green Diamond Resource Company is planning to use feller bunchers on slopes up to 45% grade in units designated for cable logging, and to construct 9 segments of steep roads between 15% and 22% grade. They also want to use an existing road and construct 2 segments of steep roads adjacent to a watercourse, and use an existing skid trail inside a class II watercourse area along the SW portion of unit D. 17 road drainage sites are planned for work including rocking, dip construction, culvert repair/replacement, ditch cleaning and road bed stabilization. There are also multiple misc crossing failures, cut bank failures, and fill slope failures. Spotted owl sites were reported within .25 mi of units F, G and H, and within .5 mi of unit E. More information is available on the THP Tracking Center website.